My Joshua was feeling less than challenged by the way I was teaching his math facts. I was following the teacher’s manual to a tee and he was frustrated with the repetition and boring way it was being presented. He said, mommy, I need something more challenging than this. 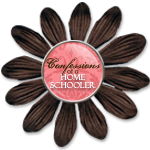 That is the beautiful thing about homeschooling, and also the reason I LOVE it! You have the freedom to teach a lesson any way you want. For today, I just taught the basic math fact concepts outlined in the teachers manual, but instead of having him do worksheet after repetitive worksheet, I Pulled out some colorful coffee mugs and a bag of M&M’s and had him create math equations for each of the math facts that he learned. Then I wrote equations on the board using the math facts we were covering and he had to tell me a word problem to go with it, and I would say a word problem and he would write the equation on the board. Then I even wrote an equation on the board and said he wanted to write the word problem out in pictures, "One beach ball bouncing on the waves, plus two beach balls bouncing on the waves, equals 3 beach balls bouncing on the waves." I love it! He replied at the end. Mom, that was much more challenging, thanks!